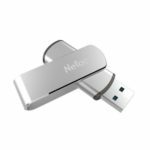 This Netac U388 USB Flash Drive features unique rotary design, which makes it so easy to use and store. High-speed USB 3.0 interface, comes with fast transmission speed. Delicately made of premium aluminum alloy and ABS, attractive and durable. 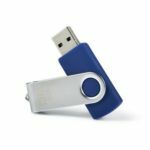 Can fast transfer files in a flash. Ultra stable and high speed transmission. 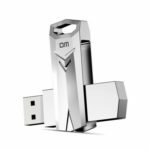 Easy to know the USB flash drive status. Widely compatible with Mac OS /Windows 7/Windows 8/Windows Vista/Windows XP or higher. Crafted with premium aluminum alloy and ABS, attractive and durable.